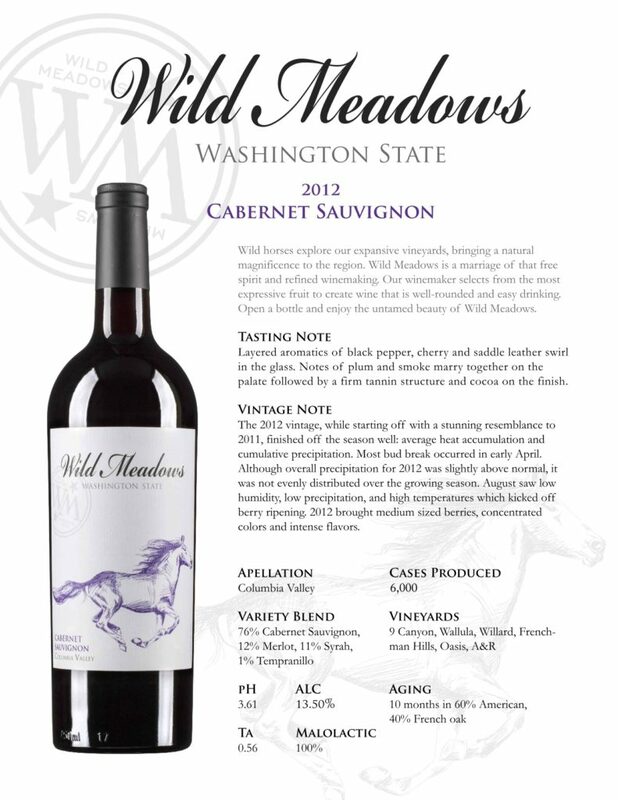 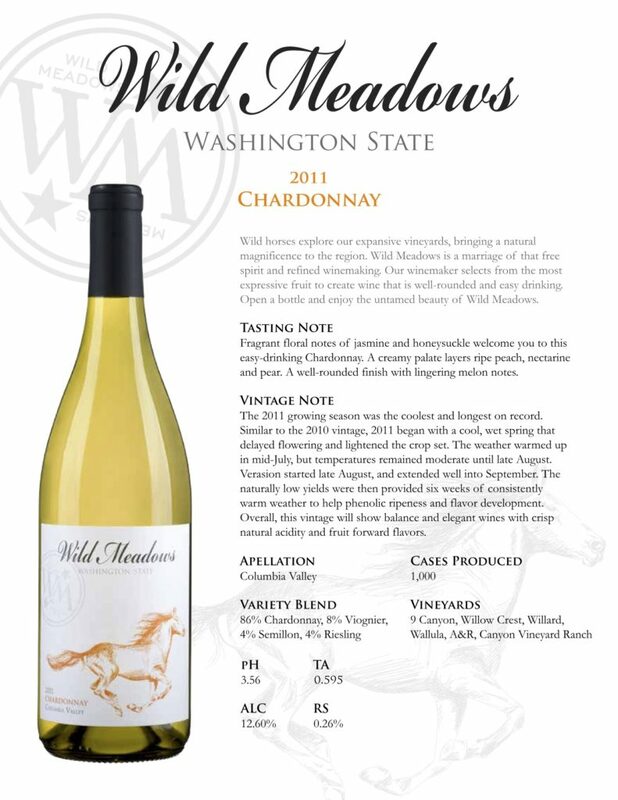 Wild Meadows Wines combines the most expressive fruit to create a well-rounded wine that is easy to drink. 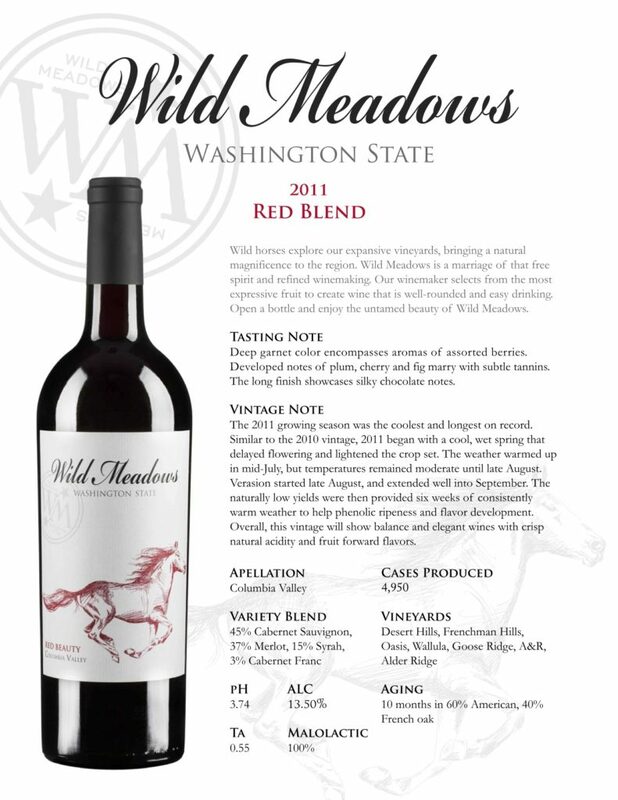 Its beautiful vineyards brings the natural magnificence from the Yakima Valley and combines it with the free spirit of a wild horse to create a refined wine. 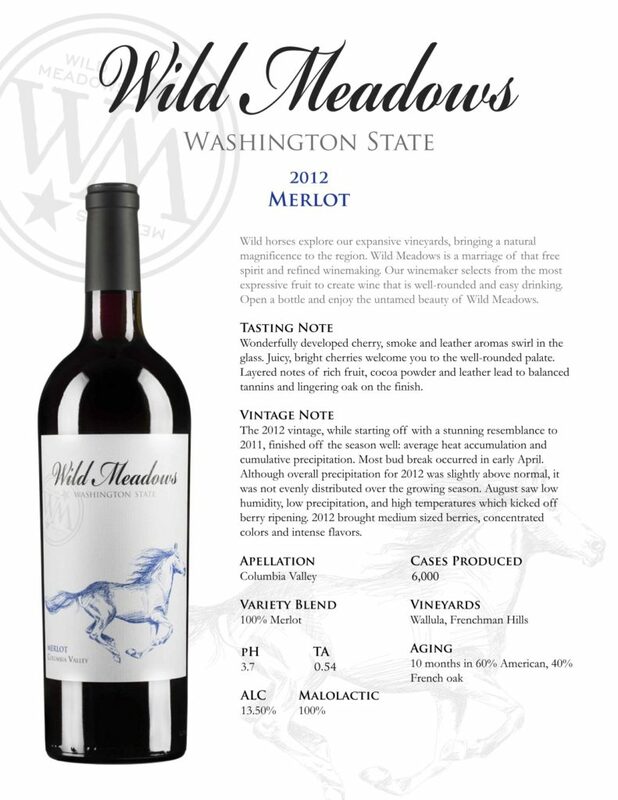 During the month of February, enjoy a bottle of Merlot, Red Beauty, Cabernet Sauvignon or Red Beauty Blend for $7.99 per bottle.